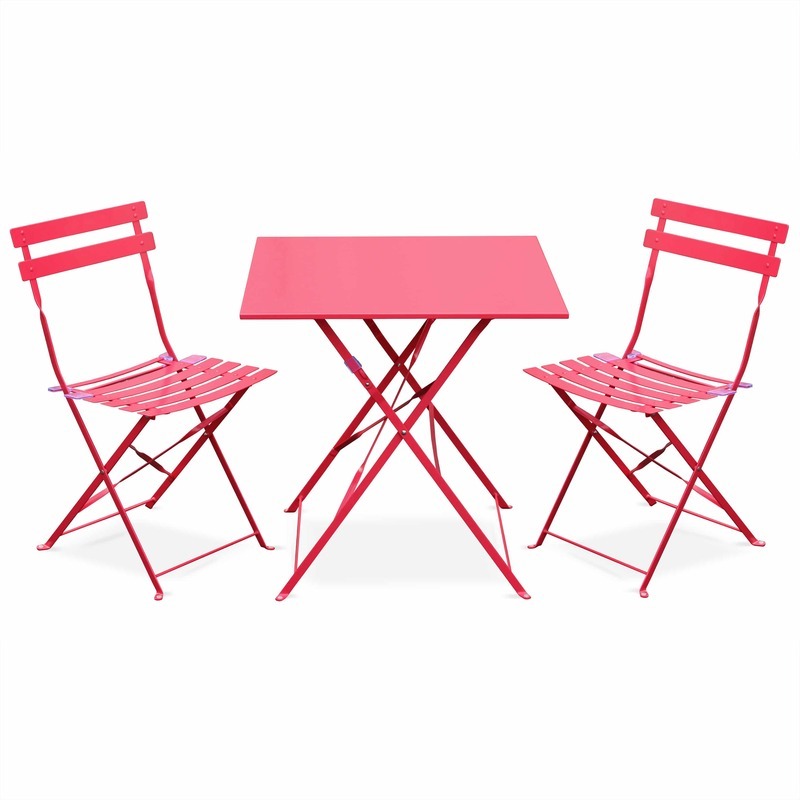 The Emilia Bistro Set includes a small outdoor table and two foldable chairs. It is perfect to bring joy to a garden or a balcony thanks to the bright colour. Its classic style suggests terraces of French bistros and its bright colours bring a vibrant element to its surroundings. While keeping the entire setting simple, the Emilia's elegance is enough to bring a touch of class to your outdoor area. We believe that quality can also be affordable, this is beautifully summed up with the Emilia Bistro Set. 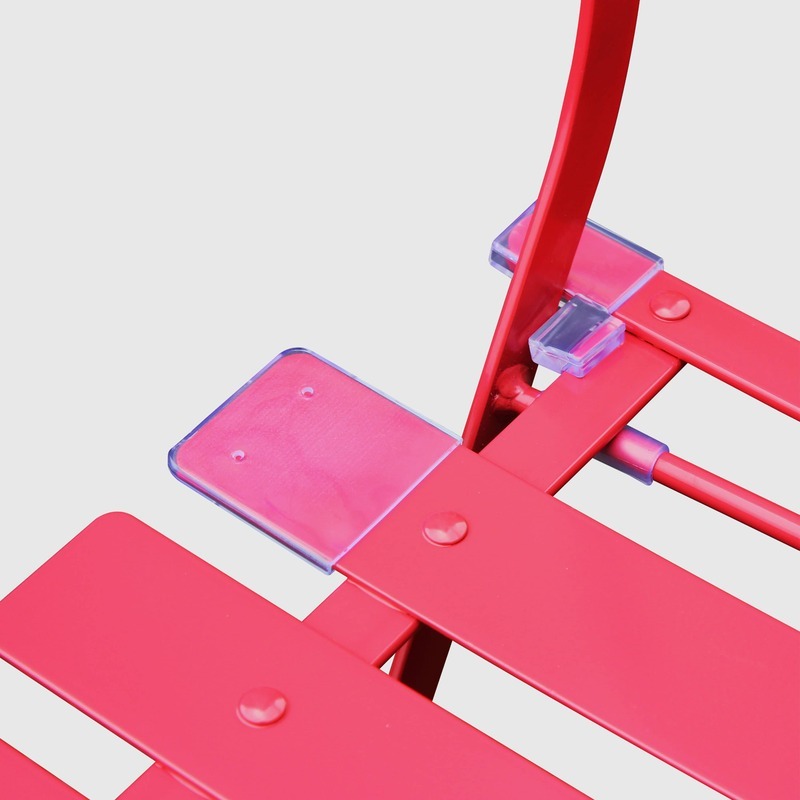 This set in steel, painted by electrophoresis is convenient. 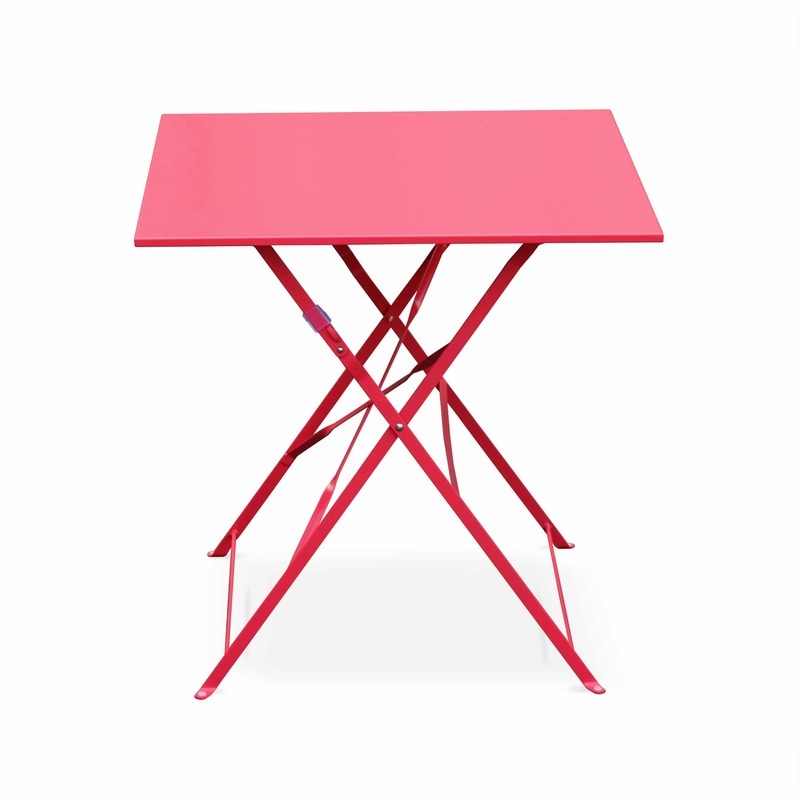 It is sturdy, light and easy to store thanks to the folding small outdoor table and chairs. For added comfort, the blade chairs have been designed with a slight curvature to really show its own unique character. 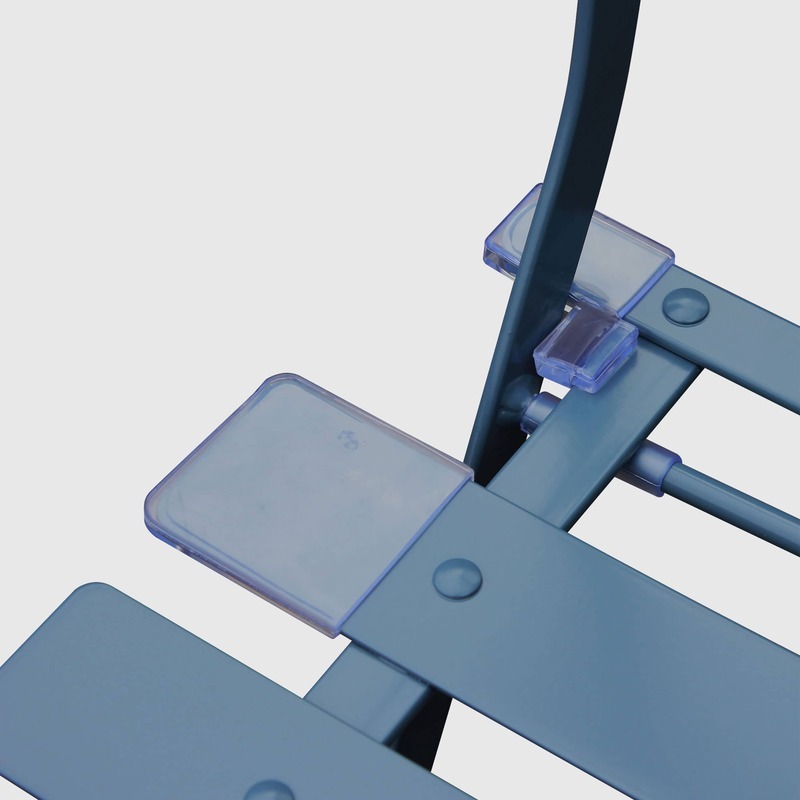 The sturdiness is demonstrated fantastically with a quality frame that is designed to last. 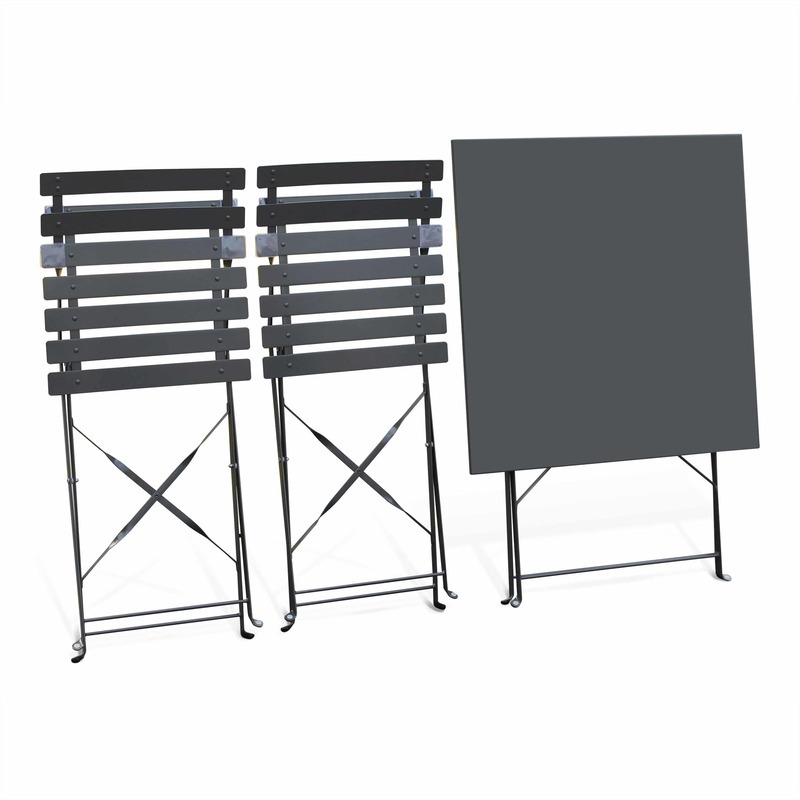 Get more value for money with an incredible steel frame. 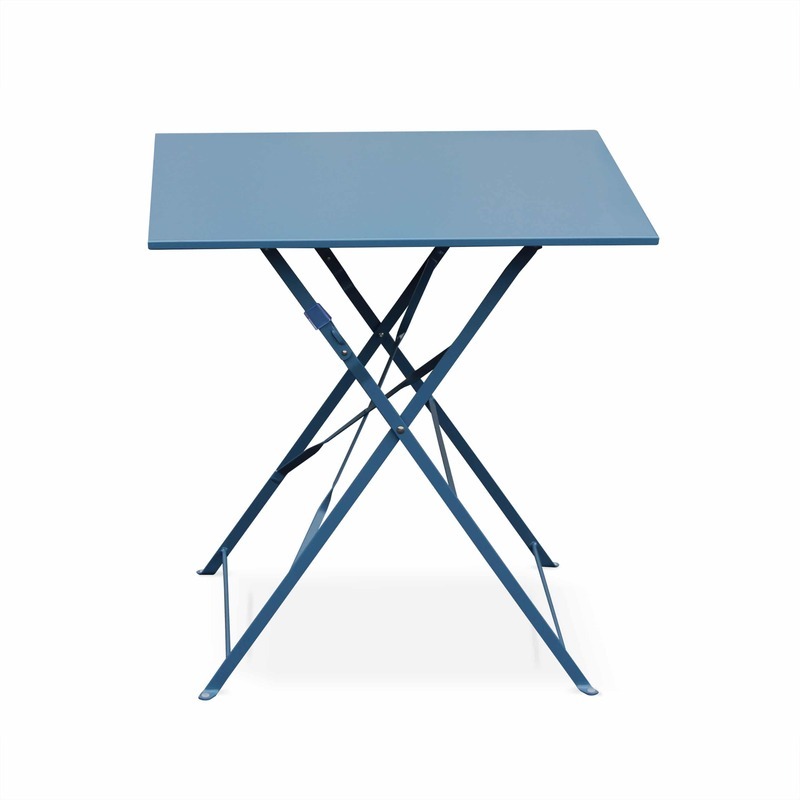 Not only is the steel frame a great practical benefit, its one of the reasons that this small outdoor table is so easy on the eye. 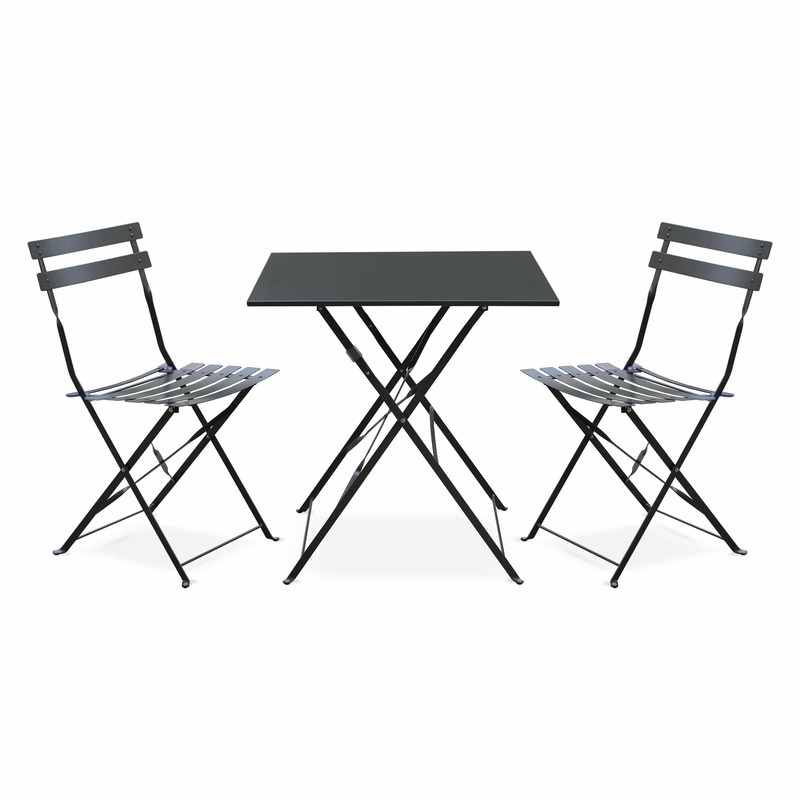 Purchase a new bistro set today and we're confident that you will love it. Please allow 2-3 business days for delivery to metro areas (Melbourne, Sydney, Brisbane) and 3-6 business days for other regions. IMPORTANT: The delivery instruction for this item will be made under an AUTHORITY TO LEAVE WITHOUT A SIGNATURE. You do not need to be present for delivery and you authorise the delivery of your item(s) at your entrance door. If you would like a signature on delivery or to nominate a drop off point for your delivery, please leave a note in the shipping details at checkout or contact us immediately after purchase. Emilia Bistro Set is fantastic. Design is sturdy and light weight.